On 7 and 8 June 2017, His Imperial Highness Prince Akishino visited Osaka City University to attend the 52nd General Meeting of the Japan Association of Botanical Gardens, of which he is Patron. 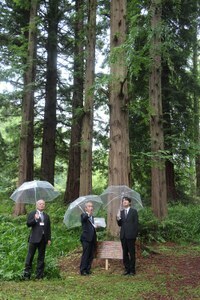 Before attending the congress Prince Akishino visited the university’s Botanical Gardens located in Katano-City. Although it unfortunately was a rainy day, Prince Akishino was shown around the Gardens by Director Moritoshi Iino, who showed the Prince the metasequoia trees which have a special relation to the Imperial Family. 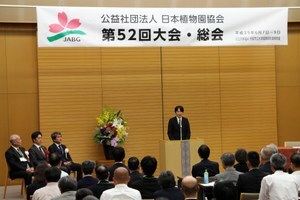 After visiting the Botanical Gardens, the Prince proceeded to the 52nd General Meeting of the Japan Association of Botanical Gardens held at the Media Center of Osaka City University’s Sugimoto Campus. 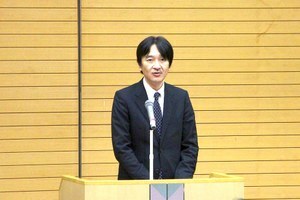 Following the General Meeting, Prince Akishino was shown around Sugimoto Campus, where he received an explanation of research results of the Center for Health Innovation, the Research Center for Artificial Photosynthesis and the Animal Functional Ecology Laboratory of the Graduate School of Science.